Bill Parkes recalls his first working experiences in Oldbury. 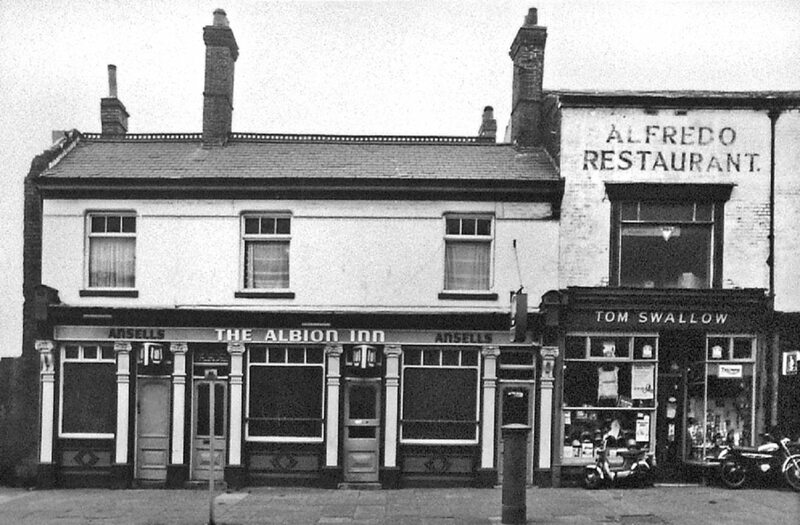 “My dad worked at Albrights during the war. 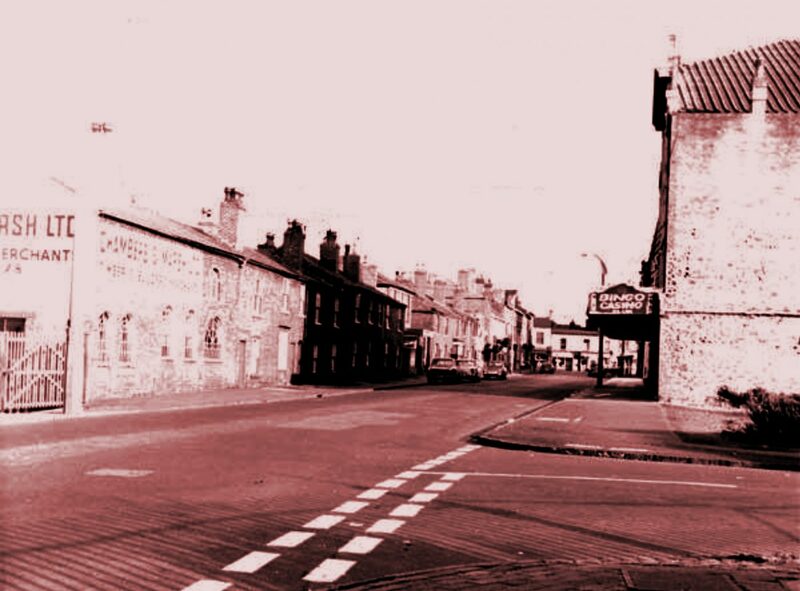 When I left Albright’s School, I worked at a laboratory first, Supra Chemicals and Paint, Haines Road, Tividale. Two of my uncles and my dad worked there and it was a knock on effect that I went into it. But I hated it and I got out. I worked at Chambers and Marsh in 1966 in Freeth Street, a wood yard. Brian Burns owned it, a truly brilliant bloke. He was coming into his 70s and he said he’d had enough, and we all left one by one because we knew what was going to happen to it. Some stayed for redundancy. It was sold to a home improvement company. They stripped it down, sold all the machinery off. It’s called asset stripping, but it wasn’t then. Then a compulsory purchase went on the land. 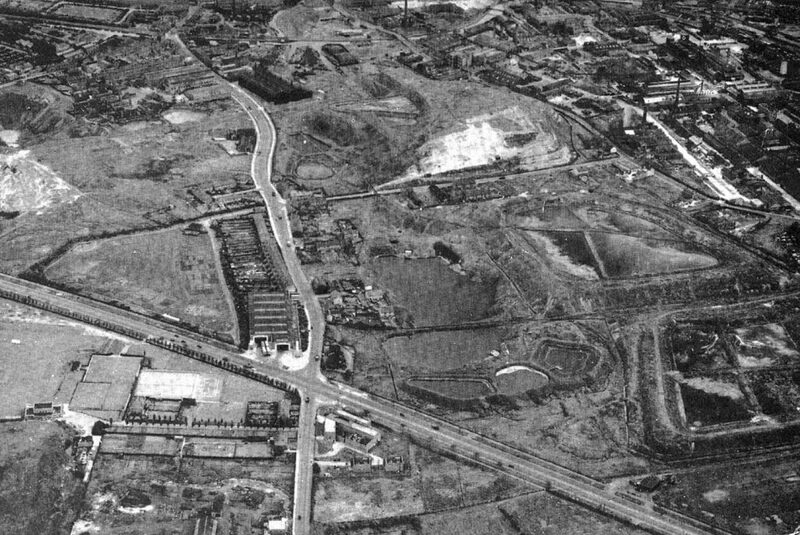 They owned the yard and where the loop canal was they owned the other side was at the top of Lime Terrace. They owned all the ground there. Every morning we used to start work at ’o’ clock. Every morning at quarter past eight Billy Davis, who was the head machinist and I was on what they used called the pulling off, he’d say, every morning, ‘Go and get me 20 Embassy.’ What we used to have to do - the Gaffa would never had said anything, but we did it out of respect, you didn’t go past the office and take the mick - so we’d climb over the wall at the back and drop into Orchard Street and across the road and there it was a little tobacconist. I used to go there and get his cigarettes. Every morning that was my job before we started. 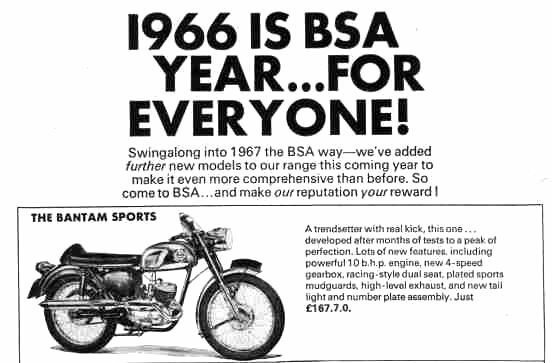 After a time I said, ‘Bill why don’t you bring your own cigarettes in?’ He said, ‘I cor get off my motorbike, I’ve got to stop me bike and get me helmet off.’ He had a BSA Bantam. I didn’t mind. I was getting paid for it. The timber yard attracted the rats. Nobody was there to disturb them. We never had a cat, nobody put traps or poison down in those days. You’d be working on the machines and a great bloody big rat would come ambling up, look at you and carry on. They were overrun. There were 26 people, which doesn’t sound a lot this day and age. But if you work it out, the bandsaw that I worked on at the time was a 20-foot high machine, the bandsaw blade was that wide and the teeth were this big and we used to cut trees down. Sammy Leedham, he was built like a barrel, he used to work on the barges years before then. He was a good lad. They were all knowledgeable blokes. He said, ‘If you hear a high pitched TING, lie on the floor. Quick.’ That was the first day I started. I said, ‘Why Sam? He said, ‘Just do as I’m saying. If you hear a high TING, lie on the floor quick. It happened once. We had some Polish timber, what caused it was in the war trees got shot and there’d be a lead bullet and the tree had grown round it and you didn’t know that and you’d push it through and you’d would hit this hard lead bullet and you’d hear this TING and the belt would ring. That’s it, lie down, no matter what you’re doing, or where you are, all the teeth would fly off! In the mill, there was all teeth over the years stuck in the bricks, gone straight into the brick. You imagine what they would have done to you. He said ‘That’s why you lie down.’ He came over and patted me and said, ‘You can get up now.’ That was the first and only time it happened, because of that. Great it was. Freeth Street, 1966, showing Chambers and Marsh on the left. Sandwell Council House currently occupies this site. Freeth Street, a few hundred yards up the road from Chambers & Marsh, 1974. At Chambers and Marsh, I was on 6 pounds and two shilling in 1966, which was a fair wage. A friend of mine he started at Tube products and he was on 8 pounds, and I said that’s a good wage, and not long after we did have a raise. But you didn’t have a yearly rise then for cost of living, you used to have to go and ask the Gaffa if you wanted a rise. I used to cycle home for lunch. I used to live in Ivy House Road, that’s where I was brought up. Half past twelve the buzzer would go. I’d get on my bike, cycle home, have a bite to eat and cycle back. I was in my prime, I’d fly it in no time. At Accles, they had about 5,000 people working there, down Rounds Green Road, each side of the road. Brian, the boss at Chambers and Marsh, used to set the clock two minutes fast so you could get out the yard, up Inkerman Street, over High Bridge, so you get past Accles before they came out. They used to come out like ants and you couldn’t cycle up that road. They used to walk in the centre of the road, the 229 bus couldn’t get through. Just so we could beat them. Only little things, but they all added up. Every time we had a puddle, Seven Stars Road used to flood. Blue Billy was two pools. If you go down to the motorway island and look across left, it’s a trading estate now. That used to be two big pools they used to pump all the acid water and the alkaline, everything the factories didn’t want went in there. Every time you went it was a different colour. That was levelled off eventually, but was the reason it used to flood, the clay pits here, the mounds, wouldn’t let the water away, and the drains at that time weren’t capable of doing anything it. So it would flood. It’s a trading estate now. That used to be two big pools they used to pump all the acid water and the alkaline, everything the factories didn’t want went in there. There was a pool at Shidas Lane as well. Every time you went it was a different colour. The canal at the side, over High Bridge, that was either blue yellow or green, and on an odd occasion, you’d get a rusty colour. The chemicals were just thrown in there. You’d see it pumping out the pipes. One day you’d see what you thought was steam but it was the acid, the vapours and the fumes, being thrown into the canal. Nobody bothered. Then they brought out the Water Act, so they had to clean them up health wise. And they did. There are fish in there now, lilies growing, the water is clean. View Bill’s story, as interpreted by students of Q3 Academy Langley.